Thank you. You have made a real impact in the lives of many courageous men, women and children who are so deserving and appreciative. Your support has generated strength behind tears and smiles through hardship… Thanks to you, we were able to provide to our service members that indescribable feeling of someone extending a helping hand when it is needed most. I consider it a great privilege to serve as the Chairman of USO-Metro’s Board of Directors and deliver this message of gratitude to you, USO-Metro’s supporters. It is my honor, not only to be a part of this prestigious group of board members but to also represent and express the tremendous support of the American people for the brave men and women of our military and their families. You are our Force Behind the Forces. Elaine Rogers, President & CEO, narrated a new public service announcement. To strengthen America’s military service members by keeping them connected to family, home and country, throughout their service to the nation. In 2017, you made 550,697 instances of service possible. Be sure to check out more highlights later on in the report to witness the amazing impact you’ve had this year. To expand our foundation of supporters in 2017, new individual giving initiatives launched to encourage the general public to donate, PACK for Troops was revitalized, and the annual WUSA9 Turkeys for Troops Telethon raised a record $140,000. We also implemented a digital tablet sign-in system across all of our staffed locations, which will allow us to better analyze our impact, and better serve our guests in 2018. This year marked the inaugural year for the Young Professionals Committee (YPC) - a volunteer group of young professionals whose mission is to help promote and support USO-Metro within this important demographic through fundraising campaigns and unique, fun social events designed to build awareness, encourage volunteerism and raise funds. The YPC hosted a number of social events this year as well as a very successful benefit concert with the band Sister Hazel, which raised more than $30,000 in total. Thank you to our sponsors, without whom we could not continue this important work. Especially our Circle of Stars, an elite group of our largest corporate donors –the one, two, three and four-star companies that make supporting our troops through USO-Metro a priority. The Boeing Company continues to support our Mobile USO, allowing us to support service members outside of our brick and mortar centers. In addition to its role as presenting sponsor of our Annual Awards Dinner in 2017, Boeing pledged an additional $150,000 during the evening’s dinner leading to a record-breaking fundraising total of more than $1 million. 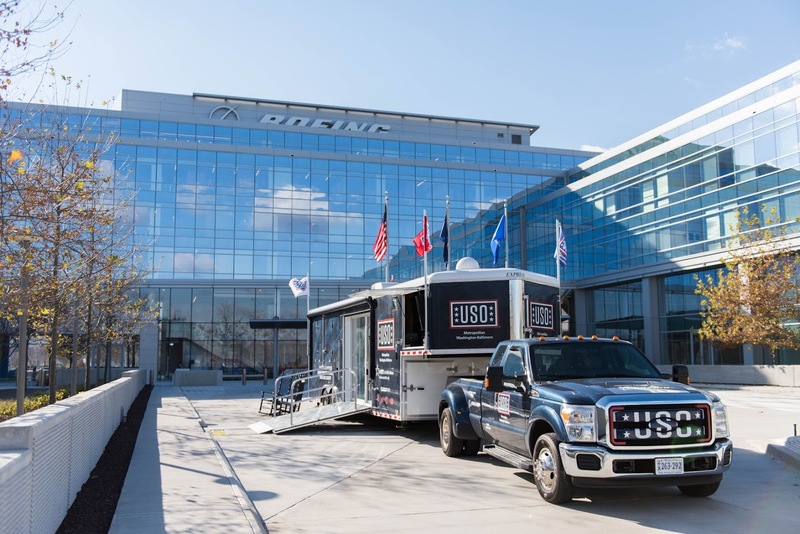 In its second year as the title sponsor of the Giant National Capital BBQ Battle, Giant Food again provided multiple opportunities for public awareness, education, and financial support to USO-Metro, resulting in a fundraising total of $400,000, more than doubling last year’s record. Harris Teeter supported USO-Metro through an in-store campaign, raising a record-breaking $237,911 in just one month by asking customers to donate at check out. Through Military Appreciation Nights and countless USO American Heroes cups sold, Mission BBQ has proven their commitment to both our local military service members and our volunteers. Donations totaled more than $218,000! Our three-stars each provided support of $100,000 and above, Altria, American Airlines, CenturyLink, Cisco Systems, Inc., Military Bowl presented by Northrop Grumman, General Dynamics IT, Leidos, Lockheed Martin, Northrop Grumman Corporation, and SAIC, through sponsorship of fundraising events, signature holiday programs, vital program vehicles, and six of our nine USO Centers. As well as our two-star sponsors who contributed $50,000 and above: 300Brand, Inc., BAE Systems, BMC, Booz Allen Hamilton, CACI International Inc, DynCorp International, EY, Hewlett Packard Enterprise, iHeart Media DC, Live! Casino & Hotel, Microsoft, Monster Energy, The Prudential Insurance Company, Raytheon Company, The Safeway Foundation. And our one-star sponsors who gave $25,000 and above: Amazon Web Services, Baltimore Orioles & The O'Days, National Capital BBQ Battle, Bell Helicopter, Brocade, Citrix, Consumer Technology Association, DC Capital Partners, Delta Air Lines, Dollar General, Emergent BioSolutions, GEICO, Honeywell Building Solutions, Pepsi Bottling Company & Frito Lay, PlanetRisk, Planet Technologies, Pratt & Whitney, PwC, Robert Irvine Foundation, Southern Management Corporation, Tech Data Government Solutions, Tegna Foundation and WUSA*9, Under Armour, United, US Trust, Valbin Corporation, Verizon, Washington Redskins, WaWa, Inc., and WWE. Perhaps the reason for USO-Metro’s longevity of success is its reputation for being a responsible charitable organization, trusted by the community and relied on by our troops and their families for 75 years. Approximately 90 cents out of every dollar donated goes directly to program expenses. USO-Metro again earned the highest rating on Charity Navigator, four stars, for outperforming most charities in its cause and Exceeding Industry Standards. I would also like to extend a special thank you to the USO-Metro staff and volunteers for their dedication and hard work. They bring unparalleled enthusiasm to the support services they provide to our military and their families. 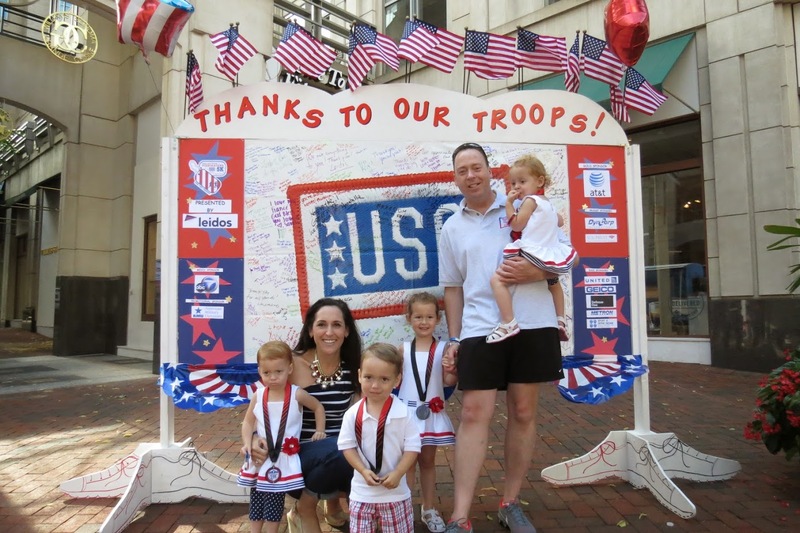 USO-Metro staff and volunteers truly are the force behind the forces. Paul McQuillan, his wife, Adrianne, and children, Valentina, Sylvana, Gabriela and Jack.